Cool Sweep with white plastic head construction with plastic grills and a dark gray plastic base. The head is adjustable. 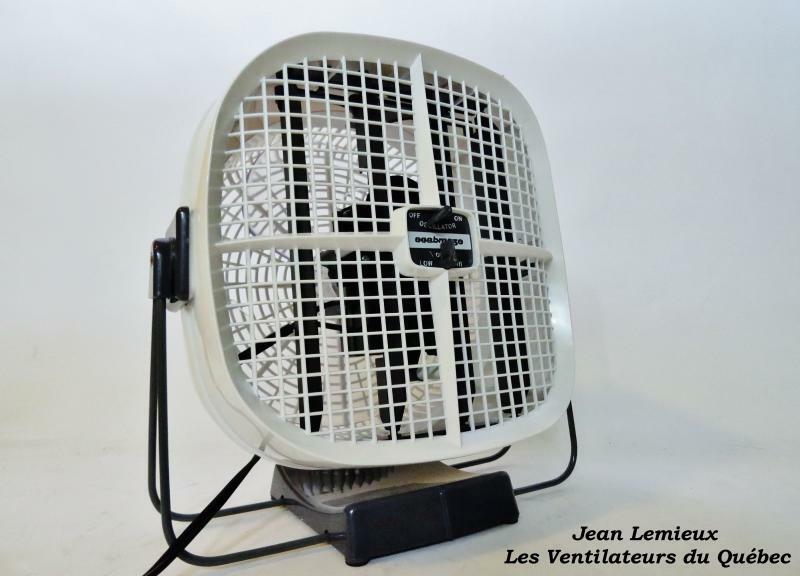 It features four enclosed louvres sweep the room 45 times per minute with a curtain of air. They are no external moving parts. Three transparent plastic blades. 2-speed.